Latoya has been uttering some foolish remarks on book promotion media appearances. Katherine released a statement, nullifying Latoya’s claims, basically calling her a liar. I felt that Katherine should have advised Latoya in private instead of releasing a public statement. There had to be a hidden motive and there was: Katherine was ingratiating herself to the Executors, pushing her daughter under the bus, for her own financial gain. When some of the Jacksons held a press conference to announce a “tribute”, scheduled to take place 2.5 weeks into the Conrad Murray Trial, Randy & Jermaine Jackson released a statement, expressing their opposition to the event. I felt that they too should have communicated with the participating Jacksons in private instead of releasing a public statement. This so-called Family communicates with each other via public statements. 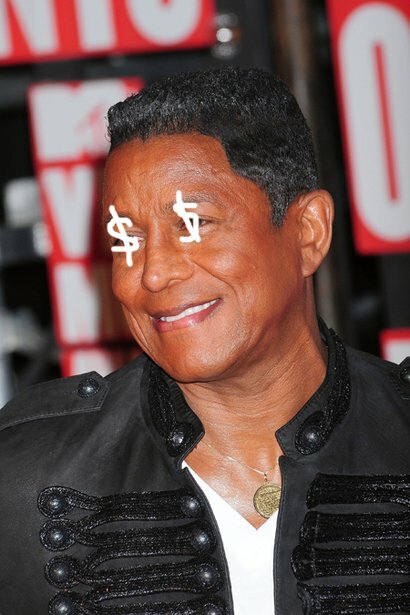 I do believe Jermaine that it is not about the money but I do NOT believe that he opposed because of the tribute’s inappropriate temporal proximity to the Conrad Murray Trial. on June 24, 2011? Or does he feel that the tribute hype would take away from his book? Whatever his convoluted reason is, Jermaine is no better than the people he criticizes. "Many of you asked about my book's timing in light of my comments about the tribute. When I first signed the book deal, the agreed publication date was October 13.
would come out in the middle of those proceedings -- an outcome I couldn't allow. Once I explained this to the publishers, they both understood and acted swiftly. I was offered two publication dates: 1st week November or 2nd week September. To avoid a potential clash with any jury deliberations/verdict in the November. I agreed September 13 because it's BEFORE the trial's start on September 20. I will not be promoting or doing book signings after Sep 20 and until the trial has ended"
"When the courts moved the trial date from JUNE to September"
"It's before the trial's start on SEPTEMBER 20"
but the trial itself wasn’t going to commence till May 9. Defense requested an extension; Judge Pastor rescheduled the Trial to September 8, 2011. Then prosecution requested an extension but the Judge rejected the request. The Trial starts on September 8, 2011. So I reject Jermaine’s claim that he is SO involved in this Trial. His lack of knowledge about the very basics is brazenly visible to those who are really following the Trial. a book or a tribute RIGHT BEFORE/DURING/RIGHT AFTER THE TRIAL. Jacksons spent 2 years inundating the fan community with their commercializing of Michael’s death. We -the fans whose grief Jackson Family never once acknowledged- want an uninterrupted Trial period to observe the trial & digest the outcome. We don't want any event or mechandise by Jacksons to create hype to break focus from the trial. Jermaine’s September 13 "book" is just as offensive as the October 8 "tribute"
one of the most talked about trials of all time, as a promotional tool to sell his garbage. There is a method to Jermaine's madness. He is using the beginning of the Trial to premiere his book, hoping to benefit from the media hullabaloo surrounding the trial. Then he will promote the book amidst massive coverage of the verdict. Casey Anthony trial lasted 6 weeks, it was a first degree murder Trial. 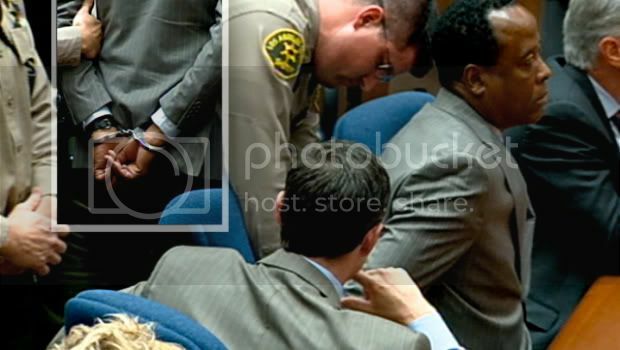 Conrad Murray Trial is only an involuntary manslaughter case. It is expected to wrap up rather quickly. Assuming a start date of September 8, Trial would be over by 1st week of November. to fully benefit from the media frenzy surrounding the Conrad Murray trial. The ONLY aspect of Murray Trial that Jerm cares about is that it will sell his book! He didn't even bother attending Premilimary Trial or at least keep abreast of its facts. Jacksons are utterly ignorant of the facts surrounding Michael's death! And I would like to be on record so I can say "I told you so". Jermaine WILL promote his book before/during/after the trial. He once gain wrote a check that his a$$ can't cash!